Savannah Georgia general contractor American Craftsman Renovations offers professional home remodeling and renovation services to property owners in Tybee Island that are looking to transform their home. 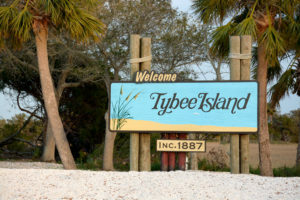 We are happy to provide the following services to homeowners on Tybee Island: kitchen remodeling and renovations, bathroom remodeling and renovations, home additions, structural repairs, and roofing services. We are your trusted Savannah Georgia general contractor with many years of experience and want to put our knowledge and skill to work for you to help you accomplish any of your home remodeling needs. Don’t trust just any general contractor with your home remodeling or addition needs. Because we are locally owned and family operated, our years of experience in Savannah help provide you with the best results. Out of state contractors just want to finish your job quickly, without paying close attention to detail. Call your local Savannah Georgia general contractor today at American Craftsman Renovations to schedule your Tybee Island home remodeling services with us. We are your trusted, experienced, and locally owned general contractor here in Savannah and we look forward to helping you with all of your home projects.